Look up our meticulously selected collection of American cranberries recipe. Read them and discover the fun of experimenting and learning how to make American cranberries recipes at home. 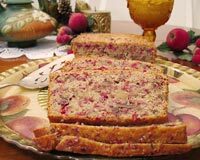 Cranberry Bread is a very popular recipe. Learn how to make/prepare Cranberry Bread by following this easy recipe. Cranberry-Raspberry Orange Juice is a refreshing recipe. Learn how to make Cranberry-Raspberry Orange Juice by following this easy recipe. Indulge in a quick treat of a delicious desert like Cranberry Nut Pie. Learn how to make/prepare Cranberry Nut Pie by following this easy recipe. Cranberry Orange Stuffed Turkey is a delicious and popular recipe for Thanksgiving. 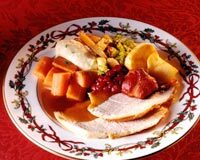 Learn how to make/prepare Cranberry Orange Stuffed Turkey by following this easy recipe. Cranberry Twister is a lip smacking and nutritious mocktail. Learn how to make/prepare Cranberry Twister by following this easy recipe. Cranberry Apple Cider gives you a glimpse of heaven. Learn how to make/prepare Cranberry Apple Cider by following this easy recipe. Cranberry Lime Pitcher Drink is a yummy recipe. Learn how to make/prepare Cranberry Lime Pitcher Drink by following this easy recipe. Cranberry Chicken is a very popular American recipe. Learn how to make/prepare Cranberry Chicken by following this easy recipe. Cranberry Juice Tea is a tasty drink recipe. Learn how to make/prepare Cranberry Juice Tea by following this easy recipe. 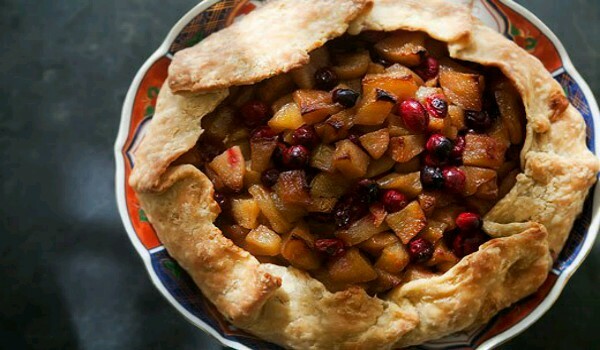 Whether at breakfast, brunch or with wine and cheese for dinner; add a fruity flavor with a tart. Learn how to make/prepare low calorie Rustic Pear-Cranberry Tart by following this easy recipe. Cranberry Scones are traditionally served on Christmas morning and go well with coffee. 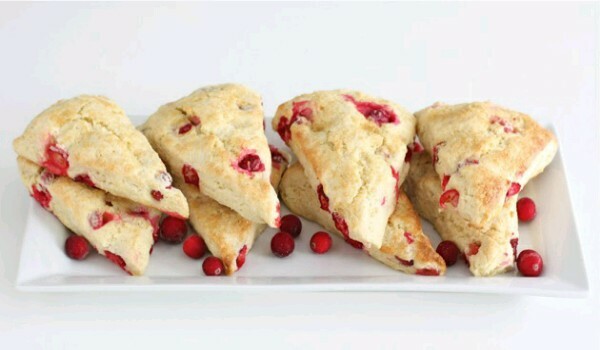 Learn how to make/prepare Cranberry Scones by following this easy recipe. Cranberry Sorbet is a very refreshing dessert. 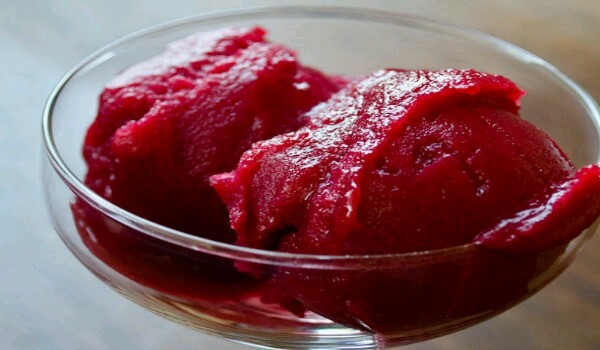 Learn how to make/prepare Cranberry Sorbet by following this easy recipe. Christmas Cranberry Salad is real delight, great in taste and easy to make. Learn how to make/prepare Christmas Cranberry Salad by following this easy recipe. Hot Cranberry Tea is a tea recipe for you to enjoy your winter days. Learn how to make/prepare Hot Cranberry Tea by following this easy recipe. Pumpkin Cranberry Bars is a very delicious recipe. Learn how to make/prepare Pumpkin Cranberry Bars by following this easy recipe. Cranberry Dip is a very tasty dish, which goes perfectly with many main course recipes. 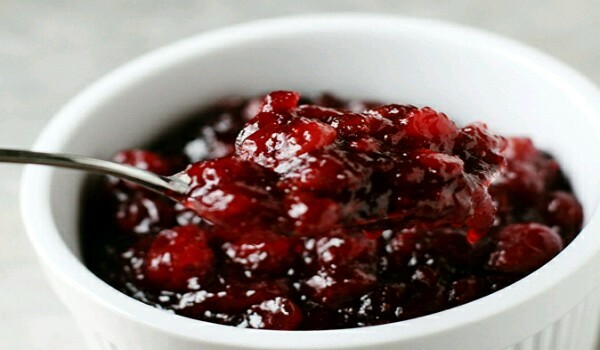 Learn how to make/prepare Cranberry Dip by following this easy recipe. Cranberry Fizz Drink is a very tasty and easy to make recipe. Learn how to make/prepare Cranberry Fizz Drink by following this easy recipe. Cranberry Lassi is a very delightful recipe. Learn how to make/prepare Cranberry Lassi by following this easy recipe. Cranberry Punch is a refreshing and popular drink. Learn how to make/prepare Cranberry Punch by following this easy recipe. 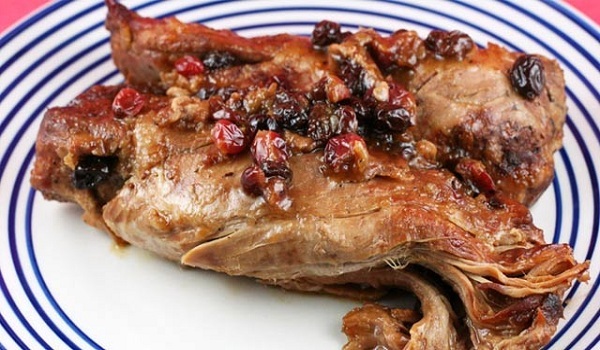 Cranberry Glazed Pork Ribs is a delicious recipe. Learn how to make/prepare Cranberry Glazed Pork Ribs by following this easy recipe. Cranberry Cheesecake Bars is a very delightful recipe. Learn how to make/prepare Cranberry Cheesecake Bars by following this easy recipe.